For more information and instructions on how to become a Sustaining Partner, please contact Melissa Winne at melissawinne@e2tech.org. Burns & McDonnell joined E2Tech as a Sustaining Champion in February 2017. Burns & McDonnell is a full-service engineering, architecture, construction, environmental, and consulting solutions firm, based in Kansas City, Missouri, with an office location in Portland. Their multi-disciplined staff of 5,500 includes engineers, architects, construction professionals, planners, estimators, economists, technicians, and scientists representing virtually all design disciplines. They plan, design, permit, construct, and manage facilities all over the world, with one mission in mind: make their clients successful. In 2016 they gained national recognition, ranking sixteenth on the "Fortune 100 Best Companies to Work For" list, and have received top workplace honors from more than 20 publications across the country. Bernstein Shur Sawyer & Nelson is a New England- based law firm that advises clients from across the U.S. and around the world. Their 100+ award-winning attorneys and professionals practice in more than 20 critical areas and a variety of industries. Bernstein Shur was also recently named as one of the 2016 Best Places to Work in Maine. They believe that sophisticated doesn't have to mean stuffy, and they're not just accessible- they're approachable. They fight hard for their clients, but calm persistence and collaboration are often their weapons of choice. Most importantly, they believe that being mindful of their clients' bottom lines is ultimately better for their own. Over the past century, these values have become the essence of Bernstein Shur. And they produce better results- and better experiences- for their clients. Whether you are a small business owner, local municipality, or Fortune 500 company, they deliver smart, practical legal solutions that work over the long term. The CEA family of companies is a New England-based consulting firm offering a full range of services in consulting and engineering services nationwide. These companies consist of Boyle Associates, headquartered in Portland, Maine; Stonehill Environmental, in Portsmouth, New Hampshire; and CEA based in Westborough, Massachusetts. Boyle specializes in early stage development and preliminary project diligence, support in developing permit applications and obtaining regulatory approvals, and supporting compliance and oversight during construction. Supporting clients on diverse projects in both terrestrial and marine environments. StoneHill works with industrial, commercial, residential, and government clients throughout the New England region. At StoneHill their goal is to minimize the costs associated with addressing environmental concerns while also achieving compliance with applicable regulations and meeting their client's objectives. CEA houses expertise in environmental due diligence, environmental engineering, site assessment and remediation, environmental health and safety (EH&S), industrial hygiene, hazardous building material assessments, emergency response, and multi-media sampling and related field services. Cianbro has supported E2Tech since 2013 and became a Sustaining Steward in March 2017. Cianbro was founded in 1949 and is now one of the United States' largest, most diverse, successful, open shop, 100% employee-owned (30th largest in the United States) construction and construction services companies. Presently operating in more than 40 states, 12 markets, and employing over 4,000 team members, Cianbro manages and self-performs civil, structural, mechanical, electrical, instrumentation, fabrication, and coating. As the recipient of over 68 years of awards, Cianbro has been nationally recognized as the Contractor of the Year and the Healthiest and Safest Company in America. East Brown Cow Management, Inc. has supported E2Tech since 2011 and became a Sustaining Steward in February 2017. East Brown Cow Management, Inc. and its affiliates comprise a real estate management, investment, and development company, established in the summer of 1989 by 26-year-old Tim Soley with brothers David and Jack. Since then, East Brown Cow has grown significantly. The company's portfolio includes a mix of office, retail, and flex space in the Greater Portland area. They prefer to modernize the infrastructure of its older, historic properties making certain that these architecturally important buildings remain vital elements in their neighborhoods. East Brown Cow has earned a reputation for providing first-class service to its tenants and for its commitment to the neighborhoods where its properties are located. Eaton Peabody has supported E2Tech since 2011 and became a Sustaining Steward in July 2018. Eaton Peabody is a Maine-based law firm with attorneys serving New England and Atlantic Canada from offices in Augusta, Bangor, Brunswick, Ellsworth, and Portland. Their lawyers offer sophisticated legal expertise that emphasizes responsive client service. Many of their lawyers are prominent in their fields of practice, and a number have been recognized by their peers in such publications as Best Lawyers in America, Chambers USA, Martindale-Hubbell and Super Lawyers. HDR, Inc. has supported E2Tech since 2012 and became a Sustaining Steward in April 2017. HDR specializes in engineering, architecture, environmental, and construction services. While they are most well-known for adding beauty and structure to communities through high-performance buildings and smart infrastructure, they provide much more than that. They create an unshakable foundation for progress because their multidisciplinary teams also include scientists, economists, builders, analysts, and artists. Their employees, working in 225 locations around the world, including one in Portland, push open the doors to what's possible each and every day. Novatus Energy joined E2Tech as a Sustaining Steward in March 2019. Novatus Energy is a renewable energy platform that owns a 1.6 GW portfolio of operating and under construction wind and solar projects in the United States. Novatus' management team is comprised of seasoned industry professionals supported by experienced project operators and advisors. Their projects use the best-in-class technology and are operated by following the highest health and safety standards. They are dedicated to the success of the communities in which they operate by creating strong relationships that foster economic growth. Novatus will continue to add great projects to its portfolio, seeking long-term forecastable cash flows, diversity of resource, offtaker and region, and reputable partners and technology providers. Ocean Renewable Power Company (ORPC) has supported E2Tech since 2011 and became a Sustaining Steward in February 2017. Ocean Renewable Power Company is a global leader in hydrokinetic power system technology and project solutions. They are a committed and experienced team of professionals that sets a high standard for environmentally risky electricity generation in "islanded" communities. Worldwide they are the only company to have built, operated, and delivered power to a utility grid from a hydrokinetic tidal project, and to a local microgrid from a hydrokinetic river project. ORPC is committed to working with local communities, partners, and supply chains, ensuring that projects create economic opportunities for host communities and are compatible with other water users. Perkins Thompson has supported E2Tech since 2011 and became a Sustaining Steward in February 2017. Perkins Thompson has been providing legal services to U.S. and Canadian businesses, institutions, and individuals for nearly 150 years. They represent major banking, utilities, energy, manufacturing, hospitality, oil and gas, real estate, forest products, and retail and wholesale distribution businesses, as well as innovative start-ups, emerging companies, entrepreneurs, private foundations, non-profit organizations, and families and individuals. They provide their clients with excellent, innovative, and cost-effective representation in a full range of general and specialized practice areas. Their moderate size assures personal attention by experienced, knowledgeable, and highly responsive practitioners. ReVision Energy has supported E2Tech since 2011 and became a Sustaining Steward in February 2017. ReVision Energy is a full service renewable energy contracting company that provides a full range of engineering, design, installation, and equipment service for homes, businesses, municipal buildings, and nonprofits. They are trusted as the industry leader in solar design, installation, and service in northern New England. They achieve their vision by maintaining the highest standards of technical accomplishment and customer satisfaction. Fossil fuel consumption and CO2 emissions in the region are shrinking as a result of their installations. ReVision Energy is pleased to announce that their efforts have been formally recognized and they are officially a Certified B Corporation. RLC Engineering, LLC is a Maine-based consulting firm offering a full range of services in the Electric Utility and Power Engineering field. From initial concept to final commissioning, they specialize in the areas of Power System Studies, Power Delivery, and Power Generation including solar, wind, and biomass. In addition to serving the needs of transmission and distribution owners, RLC Engineering is also a leader in evaluating and supporting the development of renewable energy resource projects. Through their team's veteran leadership, they have the knowledge and experience to solve any engineering challenges that come their way. RLC's team of more than 50 technical professionals encompass the expertise to efficiently plan, design, and engineer electrical facilities. Sevee & Maher Engineers has supported E2Tech since 2011 and became a Sustaining Steward in February 2017. Sevee & Maher Engineers, Inc. (SME) solves complex engineering problems with practical, real world solutions. Their staff provides technical expertise in hydrogeology, civil, environmental, wastewater, geotechnical and chemical engineering, and environmental management. From Maine to Florida, and North Carolina to California, they have provided public agencies and private clients with sustainable solutions to a diversity of issues for over 25 years. SME is dedicated to providing individualized service to each and every client. St. Germain Collins has supported E2Tech since 2011 and became a Sustaining Steward in August 2018. 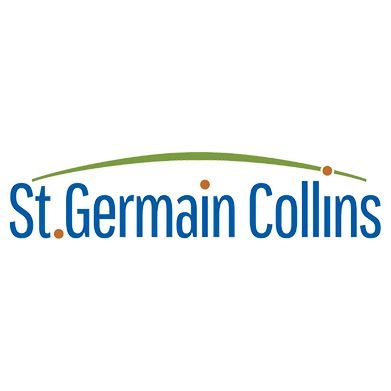 St.Germain Collins is an environmental, EHS compliance and engineering firm specializing in environmental risk management; site investigation, characterization and cleanup; environmental health and safety (EHS) compliance; and civil design, permitting and construction administration. Their clients include energy marketers, lending institutions, waste & recycling companies, manufacturers, insurance companies, aggregate producers, breweries and municipalities. And because their projects are managed by a talented scientist, engineer, or compliance specialist, you are always assured that your project will be handled intelligently and effectively. Stantec has supported E2Tech since 2011 and became a Sustaining Steward in February 2017. The Stantec community unites approximately 22,000 employees working in over 400 locations across six continents. Their work- engineering, architecture, interior design, landscape architecture, surveying, environmental sciences, project management, and project economics, from initial project concept and planning through design, construction, and commissioning- begins at the intersection of community, creativity, and client relationships. With a long-term commitment to the people and places they serve, Stantec has the unique ability to connect to projects on a personal level and advance the quality of life in communities across the globe. Summit Natural Gas became a Sustaining Steward in September 2017. Summit Natural Gas of Maine is a subsidiary of Summit Utilities, Inc., located in Augusta, and specializes in delivering natural gas to residences and businesses of all sizes. Summit builds underground natural gas steel transmission and polyethylene distribution lines using the most modern materials and equipment. Summit is proud of its exceptional safety record - during its 18 years in business Summit Utilities, Inc. has never had a major accident. Summit is developing long-lasting relationships with thousands of Maine residents and businesses, and strong partnerships in the communities where it does business. Sunrun joined E2Tech as a Sustaining Steward in March 2019. Sunrun believes there is a better, less expensive, cleaner way for families to power their homes. With Sunrun's residential rooftop solar, storage, and energy services, homeowners are saving money while dramatically reducing the amount of air pollution and carbon dioxide they release into the atmosphere. After 10 years, Sunrun is still a steadfast believer in the power of the sun, and they aren't alone. Continued, growing demand for their products and services proves that more and more Americans want better energy options. Their mission is simple - create a planet run by the sun. Tetra Tech is a leading provider of consulting and engineering services worldwide. They are a diverse company, including individuals with expertise in science, research, engineering, construction, and information technology. Tetra Tech's innovative, sustainable solutions help their clients address their water, environment, infrastructure, resource management, energy, and international development challenges. They are proud to be home to leading technical experts in every sector and to use that expertise throughout the project life cycle. Their commitment to safety is ingrained in their culture and at the forefront of every project. Tetra Tech's strength is in collectively providing integrated services - delivering the best solutions to meet their clients' needs. TRC has supported E2Tech since 2013 and became a Sustaining Steward in June 2018. A pioneer in groundbreaking scientific and engineering developments since the 1960s, TRC is a global consulting, engineering, and construction management firm that provides technology-enabled solutions to the power, oil and gas, environmental, and infrastructure markets. They strive to solve the challenges of making the Earth a better place to live - community by community and project by project. TRC has more than 4,000 employees located in 120 offices in the United States, the UK, and China. Closer to home, TRC has 5 offices and over 350 employees based in Maine and providing expertise to solve client’s design, compliance and permitting problems - from straightforward to complex - across many sectors of the state’s economy. Verrill Dana, LLP has supported E2Tech since 2012 and became a Sustaining Steward in June 2017. Verrill Dana is a full service law firm with more than 130 attorneys and a growing number of service-based practice groups. The firm has a regional presence in the Northeast, with offices from Maine to Washington, D.C., allowing them to serve clients with interests across the country and around the world. Verrill Dana believes that its role as a leading New England business carries a corresponding obligation to give back to the communities in which they live and work. This obligation is fulfilled through the personal service of their lawyers and staff in numerous community organizations, the firm's prominent charitable giving program, and the direct provision of pro bono legal services.